Vivo has launched Vivo V11 smartphone in India which is a lower variant of Vivo V11 Pro similar to Oppo F9. Vivo V11 has a 6.3-inch Full HD Halo FullView display powered by Helio P60 SoC with 6GB of RAM and 64GB of internal storage. On Camera it has a 16-megapixel rear camera along with a 5-megapixel camera for portrait shots, AI scene recognition, and a 25-megapixel front camera with AI beautify feature. It has a fingerprint sensor compared to the in-display fingerprint sensor on the V11 Pro. Packed with a 3315mAh battery with support for fast charging. 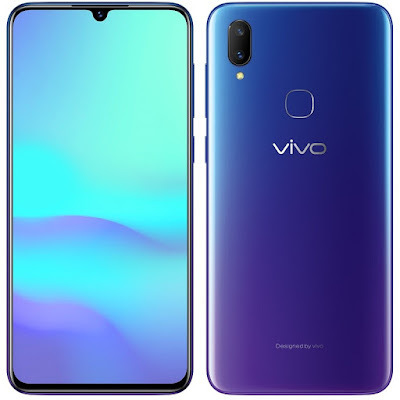 Vivo V11 comes in Starry Night Black and Nebula Purple colors, is priced at Rs. 22990 and will be available from online retailers such as Flipkart, Vivostoree as well as offline stores across from September 27th.